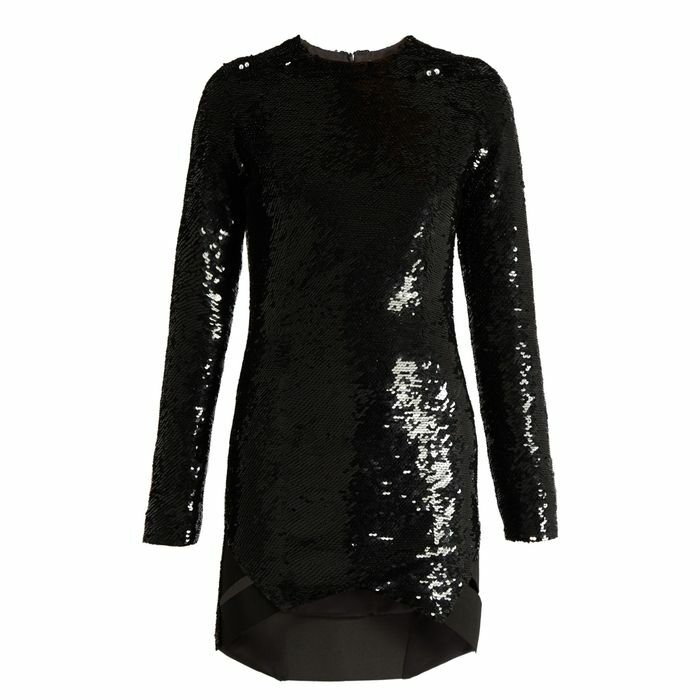 The party season is officially upon us, with a full social calendar and a new set of outfit queries to match. It can be a daunting task to concoct a new festive look every night, even for the sartorially savviest among us. So what’s a girl to do when event invites are stacking up and style inspiration is running short? It’s a simple secret: Let your accessories do the work. 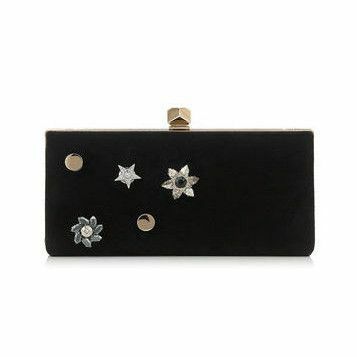 A bedazzled clutch or shoes can dress up even the most classic of frocks, serve as a convenient conversation starter and see you through the entire party season by pairing with a rotation of your best dresses. 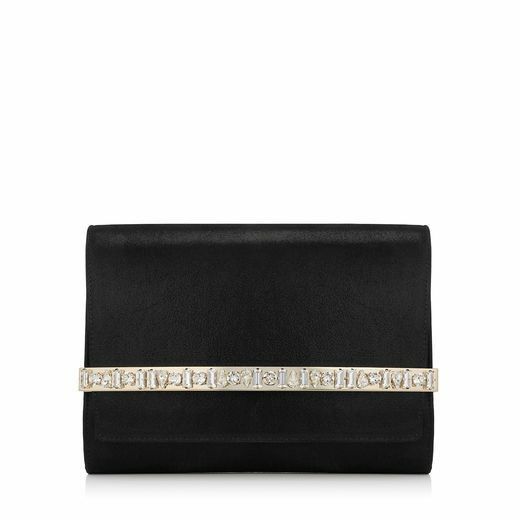 But what bags and shoes are in this party season, and what’s the smartest way to wear them? 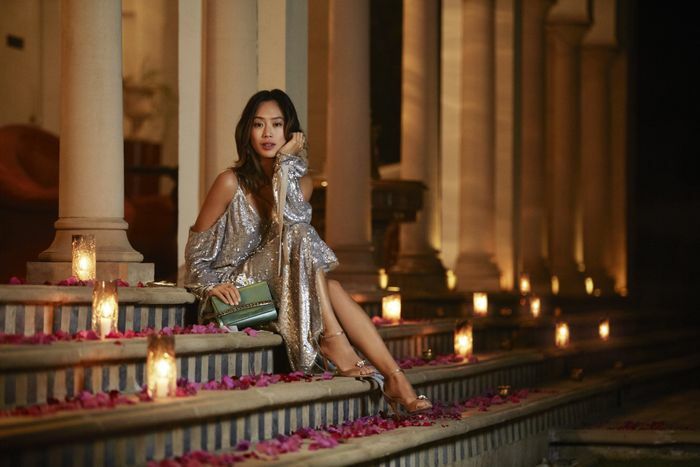 Lucky for us, Jimmy Choo has all the accessories insight we need, with a breathtaking photo shoot featuring the world’s top bloggers in their party best at the Oberoi Amarvillas in India. The country is one of the gemstone capitals of the world, making it a prime destination to showcase the gem-inspired (and, may we add, perfectly party-ready) Cruise 17 collection. Scroll down to see how seven of the most stylish influencers do party accessorising and discover their best tips, from how to find the most comfortable heels to which bag size fashion girls agree feels right this season. Party dressing is all about accessorising. Finding the right accessories can really tell the story about who you are. That’s why you should always invest in them. On Gala Gonzalez of Amlul: Alberta Ferretti dress; Jimmy Choo Cloud Box Clutch Bag in Black Satin (£1995) and Lance Sandals in Black Patent Leather (£495). This season, I’m all in for bold accessories. I love playing around with clip-ons so you can buy a plain shoe and buy loads of clips for different looks. 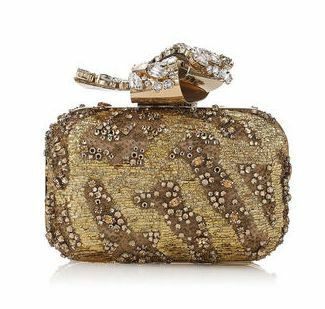 On Helena Bordon: Helo Rocha dress; Jimmy Choo Cloud Clutch Bag With Crystal Knot Clasp (£2995, available in Gold Embroidered) and Jenna 150 Heels (£575). Whenever I’m getting ready for a party, I ask myself Is it comfortable? It’s important to feel comfortable in whatever you wear, from your clothes to your shoes, so that you can have a good time. On Aimee Song of Song of Style: Magda Butrym Lancaster Dress (£1902); Jimmy Choo Bow Clutch Bag With Crystal Bar (£895, available in Black Shimmer Suede) and Tori 85 Sandals With Jewelled Clip (£695, available in Champagne Glitter Fabric). Anything with a chunky heel or a platform is easier to walk in. If you go for a higher heel, make sure to choose a pair with a little bit of a platform to support the ball of your foot. Courtney Trop of Always Judging: Vanessa Seward Chimerique Dress (£500); Jimmy Choo Lockett Minaudiere Clutch Bag (£1095, available in Silver Glitter Acrylic) and Kris 100 Heels in Black Satin Knotted Sandals (£675). I like to keep my bags small for a party. I like the Lockett Petite and even smaller bags too. All I need to carry is my phone, credit cards, and a lipstick. On Gala Gonzalez of Amlul (left): Alberta Ferretti dress; Jimmy Choo Cloud Box Clutch Bag in Black Satin (£1995). On Carmen Hamilton of Chronicles of Her (right): Bec & Bridge Indian Sunset Mini Dress ($350); Jimmy Choo Sweetie Clutch Bag Black and Champagne Degrade Glitter Acrylic (£595). I never leave my shoes to the last minute. I start with the shoes, and then I build the rest of my outfit. On Evangelie Smyrniotaki of Style Heroine: Anthony Vaccarello Long-Sleeved Sequin-Embellished Silk Dress (£3098) (£1548); Jimmy Choo Reign 100 Sandals With Carmellia Mix Anklet in Black Satin (£2995). Your party shoes have to be comfortable, and they have to fit properly. It’s also about knowing which brands suit you. 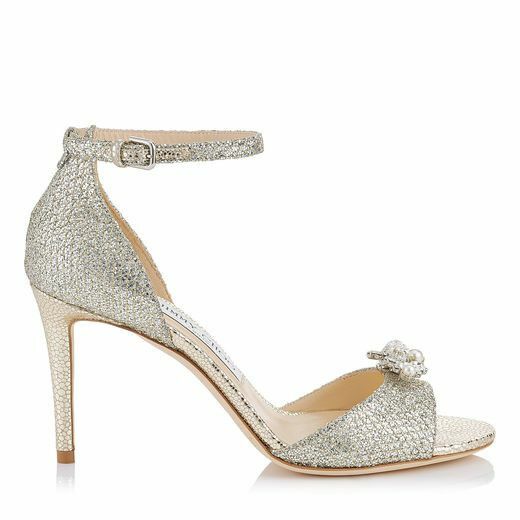 A brand like Jimmy Choo that specialises in footwear does a really good job with making sure the shoes are very wearable. On Leila Yavari: Reformation dress and jacket; Jimmy Choo Lockett Minaudiere Clutch Bag (£1095, available in Silver Glitter Acrylic) and Tower 100 Pointy Toe Pumps in Dore and Midnight Blue Mirror Leather and Black Mesh (£525). 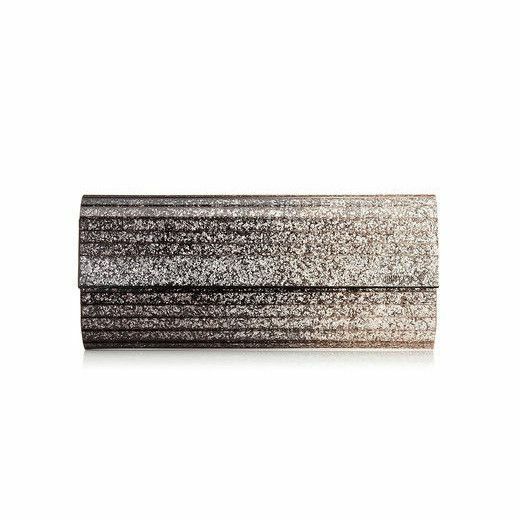 I love a little box clutch, and I’m really starting to enjoy having those sort of pieces that you would typically think are for evening but really you can wear them any time of the day. I think we are moving away from that minimalism phase, and it is fun to experiment a little bit. On Carmen Hamilton of Chronicles of Her: Bec & Bridge dress; Jimmy Choo Celeste/S Clutch Bag in Black Suede with Crystal Jewel Buttons and Metal Studs (£1295). 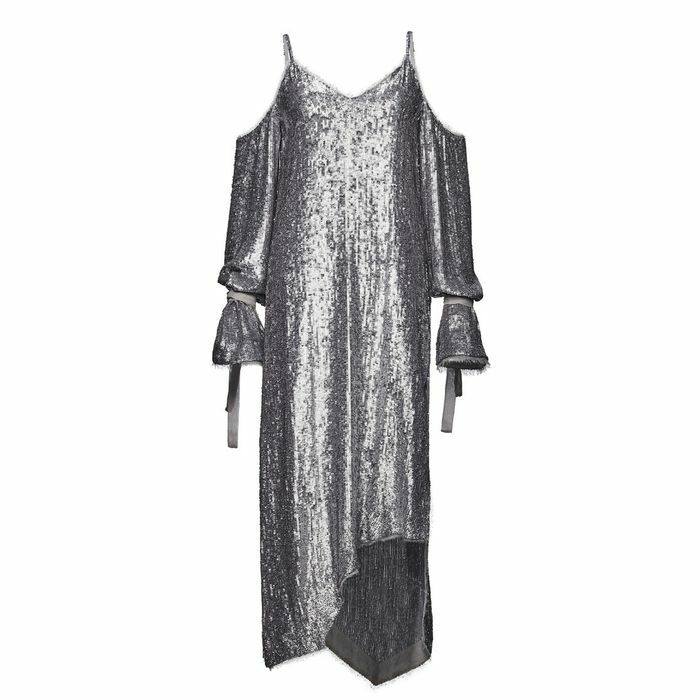 Wear a dress to go from day to night easily. All you have to do is swap out the bag and shoes and make your look more about your accessories. 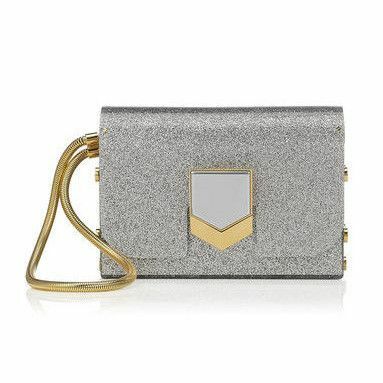 Courtney Trop of Always Judging: Vanessa Seward Chimerique Dress (£550); Jimmy Choo Lockett Minaudiere Clutch Bag (£1095, available in Silver Glitter Acrylic). My must-have from the new collection is sandals with the changeable shoe clips. I’m obsessed with those because depending on your mood, you can change them out. I am starting to branch out in the footwear department because I think it’s a nice way to add an interesting twist to a simple outfit—to add some sort of opulence, whether it’s little gemstones or full glitter with the right outfit. On Carmen Hamilton of Chronicles of Her: Bec & Bridge dress; Jimmy Choo Lucia Pumps. You don’t have to be flashy with your outfit. 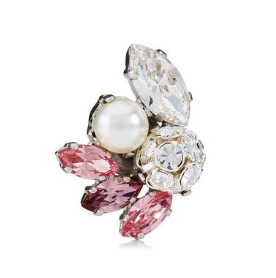 Dress up your look with accessories. Feel good and be yourself. 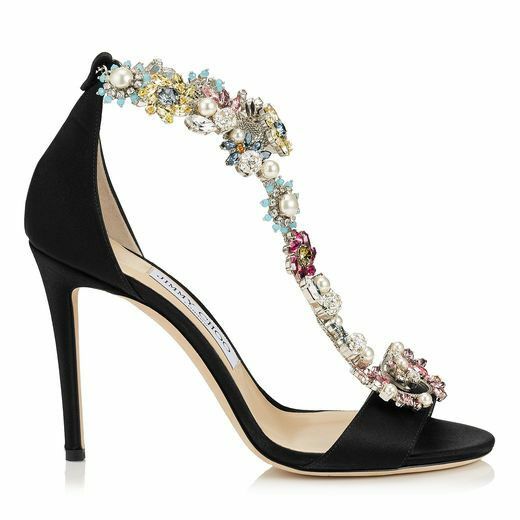 On Evangelie Smyrniotaki of Style Heroine: Jimmy Choo Reign 100 Sandals With Carmellia Mix Anklet in Black Satin (£2995). 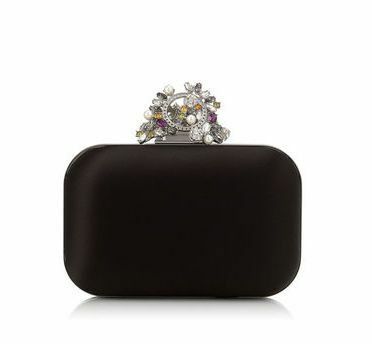 What's the one party accessory you never leave home without? Let us know in the comments below!